Shanghai Yuhua Life Science and Technology Development Co.,Ltd, located in <?xml:namespace prefix = st1 ns = "urn:schemas-microsoft-com:office:smarttags" />Yangpu Intellectual Property Park , Knowledge Innovation Zone of Shanghai, was established by Shanghai Yuhua Pharmaceutical Consulting Company in February, 2006. Our company mainly works on R&D and technology transfer of a series high-tech, such as genetic tests, protein isolation and purification, high throughput gene and protein function study, medicine screening and etc. We have invented recombinant human Cu/Zn-Superoxide Dismutase (Cu/Zn-rhSOD) and then quickly entered into industrialization and achieved very good efficiency in the market. Therefore, our company is developing and growing rapidly. Shanghai Yuhua Life Science and Technology Development Co.,Ltd possesses international leading technique and preparation procedure in producing SOD. 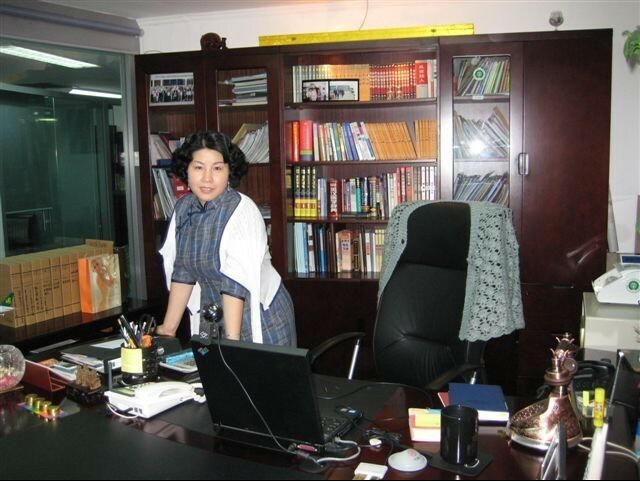 We have international famous professor, known as one of pioneers working on SOD study and application in China, in our R&D team. And in molecular genetic and genetic engineering fields, we also have experts who have a great deal of experience and achievement in directing project 863, 973 about Genetic Engineering Expression, gene recombination, pharmaceutical protein fields and human new gene function study filed. All of these make our innovation and advanced technology to be recognized in the same industry and by experts at home and abroad, and make us win the Shanghai government innovation award. �� Na Darling skincare cosmetics. �� Recombinant phytase series products. The core competitiveness of Shanghai Yuhua Life Science and Technology Development Co.,Ltd in future is embodied in the strong marketing force and international sales capability, high-quality technical service and excellent management skills. Leaders in our company have oversea studies and working experience in foreign countries, rich experiences in long-term medicine R&D and trade field, and they are familiar with international market and the trend of technological development, have many years of work experience in enterprise management. They were named as Elite of top 100 enterprises in 2008. Our related company Yuhua Asian Group is one of the biggest comprehensive co-operative research organizations all over the world. It works on configuration of international goods resources of medical material, drug intermediate and customer value creation. It has operational entities and sale networks in France, Korea, India, the United Arab Emirates, Singapore, Malaysia, Taiwan and other countries and regions, and so facilitates the intergration of our products into the international market much better. After four years of development, whether the technical transformation, product research and development, or the talent introduction and other fields of investment management show the pragmatic spirit of healthy and stable growth, scientific research and development, and this spirit makes us work tirelessly for the developmental goal made by our company. Add: 22 Yangpu Business Tower，NO.5 Anshan Rd,Shanghai，200092，China.